Asparagus is my favorite vegetable. Not only does it taste so good, but it is also one of the first vegetables in the spring. I can hardly wait. Asparagus is a perennial, so it comes up year after year and requires only a little care. It should be kept weed free, which is accomplished easily with mulch. Your plants should last 30 years. You can start your asparagus patch either from seeds or with one year old crowns which are available from may seed or nursery outlets. Seeds can be started in a small bed and set out the next year. There are many new hybrid varieties to choose from, but I still prefer the old Washington Mary. Asparagus plants should be planted 6 inches deep, 18 apart on the row. Rows should be 4 apart. Cover the transplants about 2 deep and over the next year fill in the row to make the patch level. Asparagus will grow most anywhere except in poorly drained soil. The roots will rot is the soil is too wet. Asparagus prefers soil with a pH. of 6.5 to 7.5. Lime will help if your soil is too acidic. You may want to plant your asparagus to the side of the garden, since the ferns take a lot of space and they do spread out somewhat. Remember, you want this plant to be permanent. The main pest is the asparagus beetle, which lays those tiny black eggs on the spears. The bugs can be picked or brushed into a bucket. Usually, they are only a minor nuisance. Now, to the most important part: picking that asparagus. Wait until the second year before harvesting any spears, and then only for a week or two. Each year you will get more and more. 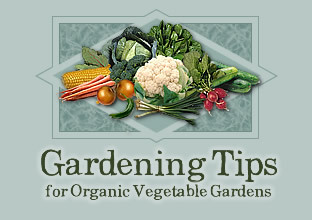 never harvest more than eight weeks per year, because the plants need to store up energy for the next year. Always pick all spears, and stop when the largest spears are less than 1/2 inch in diameter. I leave the dried foliage in the garden in the fall. It will continue to feed the plant over the winter. But remove the remaining foliage in the early spring. Remember to mulch those plants each year and wait all winter long wait for those spears to pop up through the ground.